The classic Flash #123 brought Golden-Age Flash Jay Garrick back from obscurity and established the DC multiverse, setting in motion JLA/JSA team-ups, villains of Earth-3, Crisis on Infinite Earths and more. It’s fitting that the story lends its title to tonight’s episode of the Flash TV Show, which properly introduces Jay Garrick and the multiverse to TV audiences. Carmine Infantino’s cover has been referenced many times over the years, by professionals and fans alike — including the TV show’s posters! It’s popular enough that I once toyed with the idea of running a weekly “Flash of Two Worlds” homage feature on the blog, but never quite got started. Still, you can see a small selection by looking at our posts tagged Flash of Two Worlds. This entry was posted in Covers, Flash History and tagged Barry Allen, Carmine Infantino, Flash of Two Worlds, Jay Garrick, Silver Age on October 13, 2015 by Kelson. Flashy footwear, my Adidas Wings 2.0. I figured they were more than appropriate for what I was doing and I didn’t want to ruin my slick new Flash boots. Why skydiving? 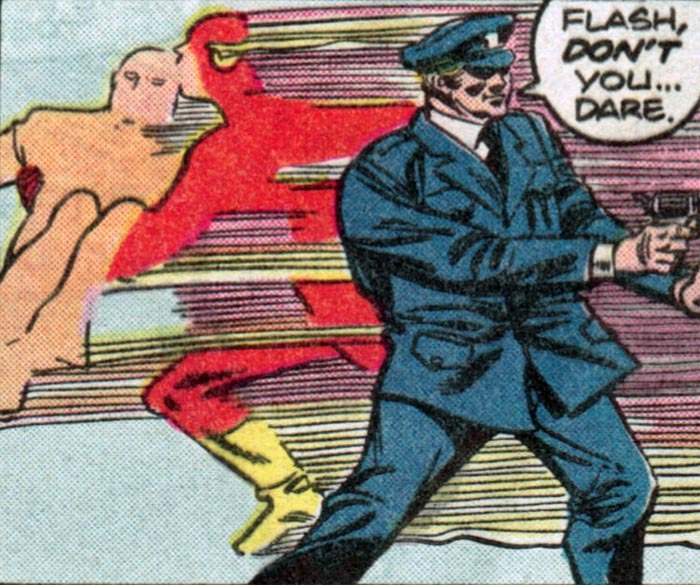 Well, after reading the William Messner-Loebs penned The Flash v2 #54, “Nobody Dies” (aka “Free Fall in Scarlet!”) many, many years ago I got it in my head that I needed to jump out of a plane in a frackin’ Flash suit. 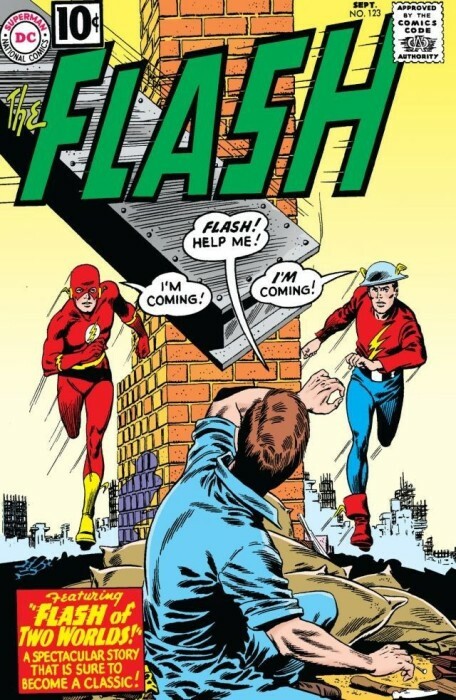 This entry was posted in Fandom, Fun, Media and tagged Ballad of Barry Allen, Barry Allen, Carmine Infantino, Cosplay, CW, Flash Johnson, Free Fall In Scarlet, Jim Infantino, Jim's Big Ego, Nobody Dies, Skydiving, The Flash v2, Wally West on May 12, 2015 by Devin. 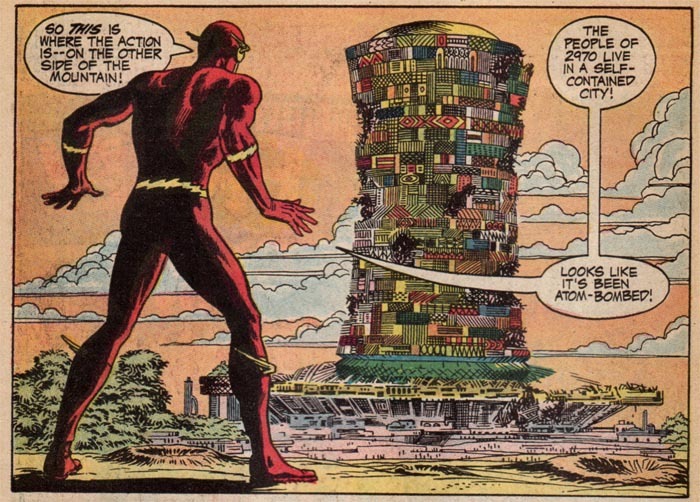 Welcome to the final installment in our annotations of the collected edition of The Trial of the Flash! A while back, we analyzed related stories leading up to the release of Showcase Presents: The Trial of the Flash. In addition, we interviewed author Cary Bates about the buildup and the Trial itself, plus showed you what wasn’t included in the collection. IN THIS CHAPTER: Adventures of Psychic Iris! This is it: the final chapter! Thank you very much for reading along. Links to original artwork, scans and research are included throughout this post. For definitive legal analysis of the story by Bob Ingersoll, go here. Tom vs. Flash Podcast links here, including these issues. As always, huge thanks to the DC Indexes. See you after the jump! This entry was posted in Annotations and tagged Abra Kadabra, Barry Allen, Captain Boomerang, Carmine Infantino, Cary Bates, Crisis on Infinite Earths, Mirror Master, Reverse Flash, superman flash race, The Rogues, the trial of the flash on September 21, 2014 by Greg Elias. IN THIS ISSUE: Sympathetic Vibrations! We’ve reached the final issue! Thank you very much for reading along. Links to original artwork, scans and research are included throughout this post. For definitive legal analysis of the story by Bob Ingersoll, go here. Tom vs. Flash Podcast links here, including these issues. As always, huge thanks to the DC Indexes. See you after the jump! This entry was posted in Annotations and tagged Abra Kadabra, Barry Allen, Carmine Infantino, Cary Bates, Cosmic Treadmill, frank mclaughlin, john ernst worrell keely, Mirror Master, Paul Gambaccini, Paul Gambi, Reverse Flash, sympathetic vibrations, The Flash, The Rogues, the trial of the flash on September 13, 2014 by Greg Elias. IN THIS ISSUE: Closed Timelike Curves! We’ve reached the penultimate chapter! Thank you very much for reading along. Links to original artwork, scans and research are included throughout this post. For definitive legal analysis of the story by Bob Ingersoll, go here. Tom vs. Flash Podcast links here, including these issues. As always, huge thanks to the DC Indexes. See you after the jump! This entry was posted in Annotations and tagged Abra Kadabra, Barry Allen, Carmine Infantino, Cary Bates, frank mclaughlin, iris allen, Iris West, Reverse Flash, The Rogues, the trial of the flash, Wally West on September 6, 2014 by Greg Elias. IN THIS ISSUE: Death in the Afternoon! This entry was posted in Annotations and tagged annotations, Barry Allen, Carmine Infantino, Cary Bates, frank mclaughlin, klaus janson, Reverse Flash, the trial of the flash on August 31, 2014 by Greg Elias.